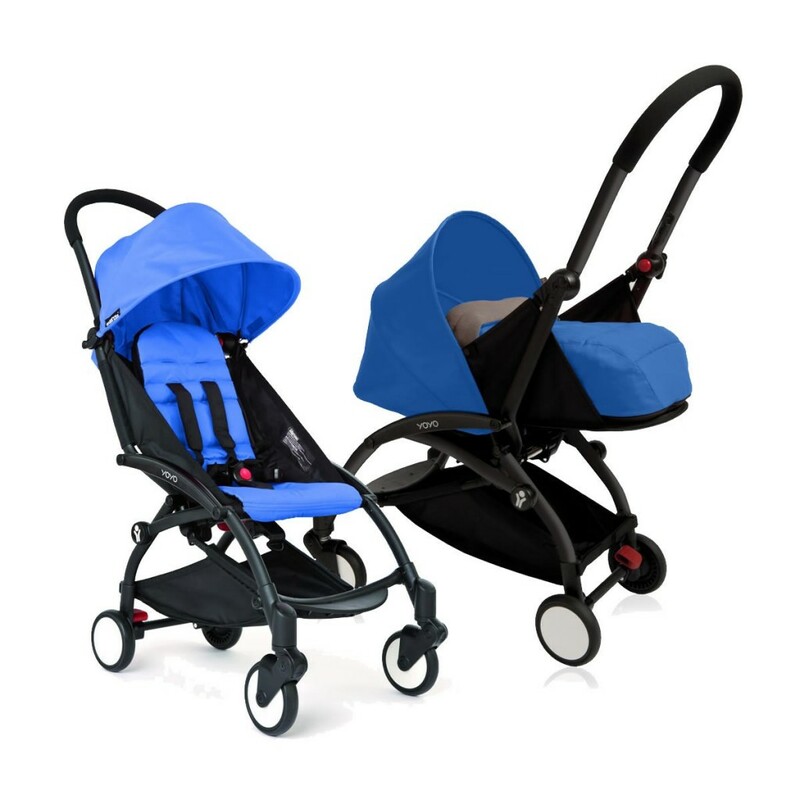 The world’s second most compact stroller with a light chassis and stylish look. A godsend for travelling. Ah, the legendary Babyzen YOYO. What a perfect stroller stroller for the City Mother! Well, not quite legendary but if I had to pick one stroller that I have read and heard the most about, it is definitely the Babyzen YOYO. I and see it all the time around London as well – it’s a true City Stroller. The Babyzen YOYO is known for being super small when folded. So small in fact that it fits in the overhead compartment on a commercial plane. 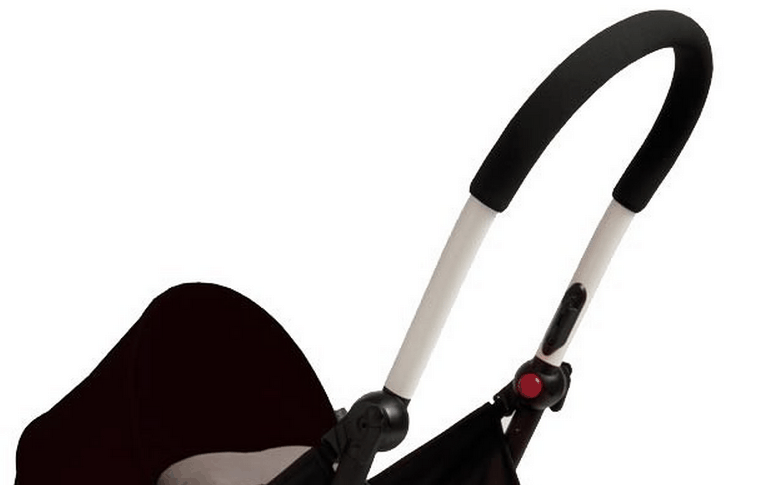 The Babyzen YOYO has a front facing seat with a freely adjustable backrest. The backrest is slightly reclined even when in its upright position which makes my son glide down a little if the harness is too loose. When reclined fully the other way, it doesn’t really become fully flat either but my 2-year-old son doesn’t seem to mind and sleeps fine in the stroller anyway. The backrest is adjusted by a strap at the back and it’s easy to open and close thanks to the seat being very thin and light. The only issue is that the backrest doesn’t stay down when the child sits up, even when strapped in. This can make it a little trickier when it’s time to sleep in the stroller. 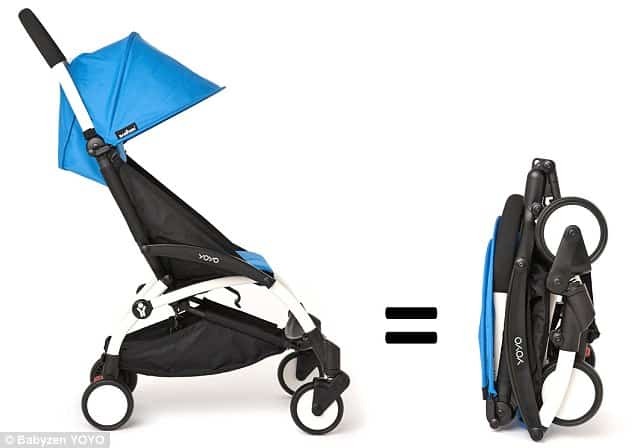 To be fair, this happens in pretty much every stroller I used simply because strollers are less sturdy than prams, so you’ll experience this with other strollers as well. The seat itself is wide and spacious, albeit a little short – only 43cm in length. It is, however, big enough for my 2 year old to both sit up comfortably and sleep well. When you buy The Babyzen YOYO Complete it comes with a newborn nest – a flat surface, turned backwards, suitable for a baby up to 9kg. It’s not recommended to use the seat until the baby is 6 months old but even though you can use it at that age you should be aware of that fact that it can only face forward, that it doesn’t recline fully, plus that it’s fairly open and your baby is less protected. The Babyzen YOYO uses a five-point harness with three height settings. The third and highest placed setting works well for a 2-year-old. The team behind the YOYO have, quite cleverly, fixed the harness pads to the harness itself so they don’t slide up and down. They are connected from the hip to the shoulder so that the shoulder straps can’t be removed. To close the harness, first bring the two buckles together, then push them down to the middle buckle. 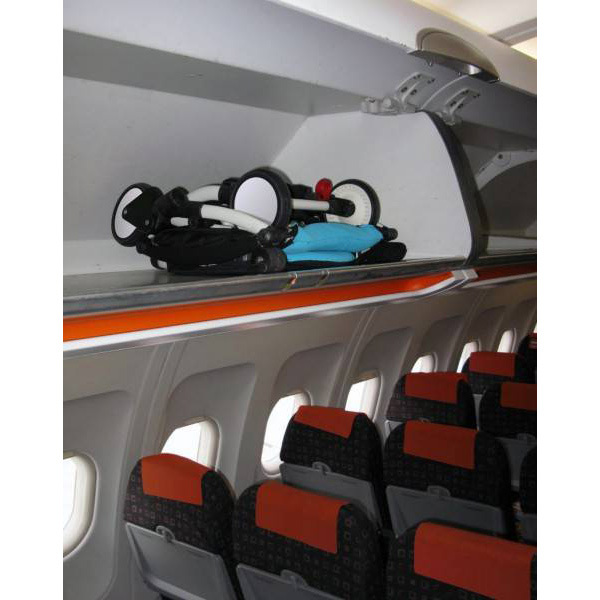 The harness has easily opened buckles on the sides which makes it very easy to place a seat cushion och travel bag on the seat. There are also plastic D rings that you can use for attaching other harness (and whatever else you think might be useful). 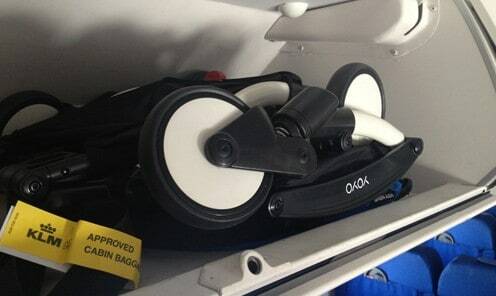 These are small details which show that this stroller has been created by a team who are passionate about strollers. Babyzen YOYO top has two different setting: completely open or folded. There is also a plastic windows at the top but it is places so far back that it doesn’t annoy your child even though it doesn’t have a lid. It’s main use is for you to keep an eye on your child when he sleeps. I really like that feature – it means I don’t need to stop and walk around the stroller. Worth mentioning is that on really sunny days you will have to add a sun canopy or a parasol. The fixed bar handle on the Babyzen YOYO is 106 cm from the ground – a little to high for anyone under 170cm to be honest – but works OK. The good thing about this handle is that it is not divided in two like in most umbrella strollers. This allows you to drive the stroller with one hand plus it feels much better; it’s more comfortable. 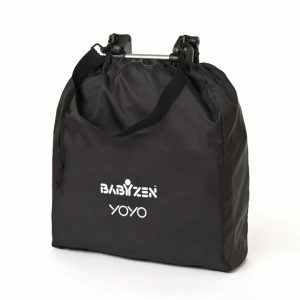 The storage basket on the Babyzen YOYO measures 48×22 cm and although the storage basket is small, it can contain more than you think. It is very long and the edges on the sides are high which allows you to fill it up with quite a lot of things. For example, I managed to carry a small freeze box and three jackets with ease – not bad. it’s not a stroller you would take to the supermarket to do a week’s grocery shopping. 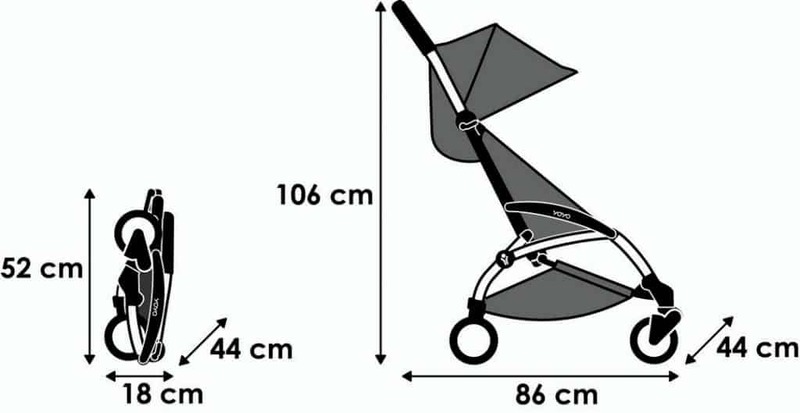 The max weight is 2kg and when you fold the stroller, the harness folds with it and ends up in the actual basket. If this is an issue, you can always remove the harness beforehand. 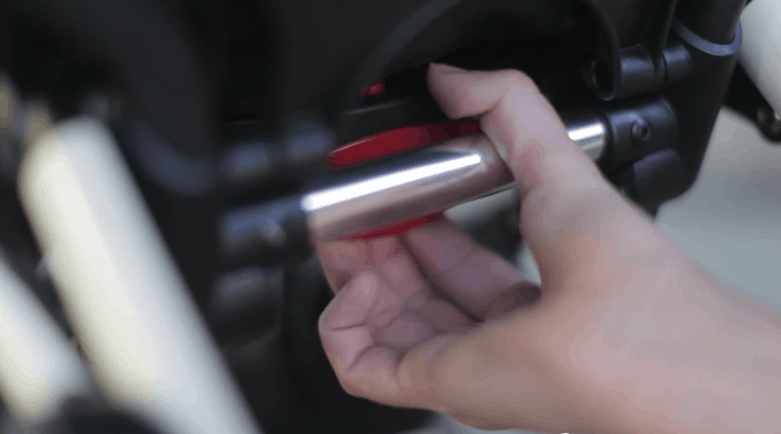 You lock the wheels by pressing the small little red pedal located on the bottom right. The foot brake locks both the back wheels using a normal cogwheel break. Sometimes I feel like the break is a little sluggish but just press it firmly and it gives in. The important thing is that the break keep the wheels locked firmly, which is certainly the case here. Babyzen YOYO has four small puncture-free wheels made of PU-foam, 13cm (5 inches) in diameter both front and back. No rocks get stuck on the wheels as there are no grooves. 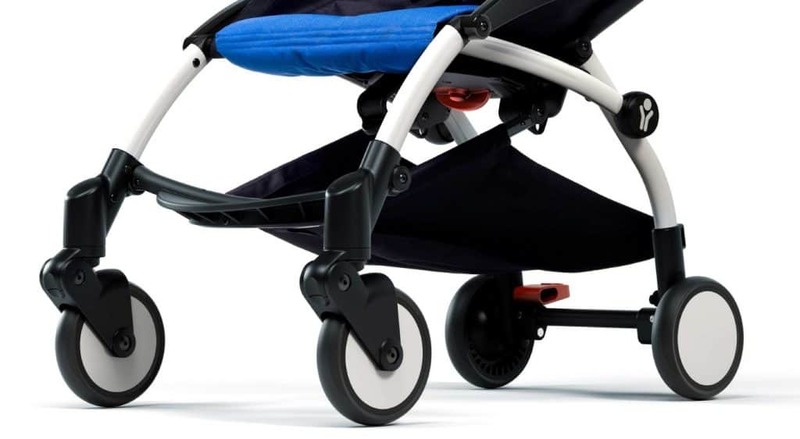 The two front wheels turn freely but cannot be locked which I am not sure is a great – on gravel I find that it is easier to push the stroller when the wheels are locked. The chassi is fitted with wheel suspension and so are the front wheels, which makes the ride relatively smooth on most surfaces despite the small wheels. What do they guys at babyzen.com say about the folding mechanism on the Babyzen YOYO? It’s magic: it unfolds in a fraction of a second ! And I agree it is magic! The folding mechanism on the Babyzen YOYO is indeed one of its main advantages, something that makes it special – it makes it unique. Not only is it very, very small when folded but it is also extremely simple to fold (once you have done it a few times, of course). 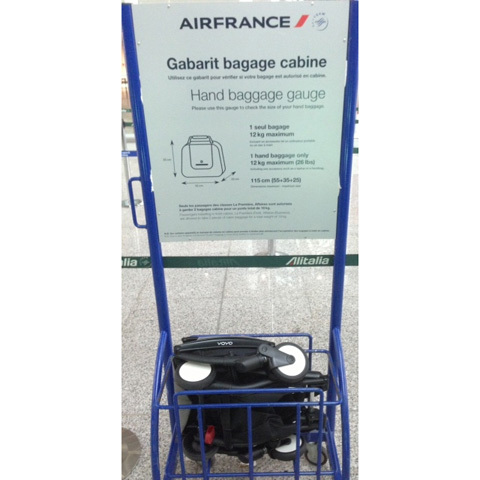 #2. push the two red buttons located where the backrest ends and fold down the handle and canopy together. Btw, this can be done while the baby is still in the seat. #3. Bend down and you’ll find a red button under the seat that you need to push down and pull the handle toward you. 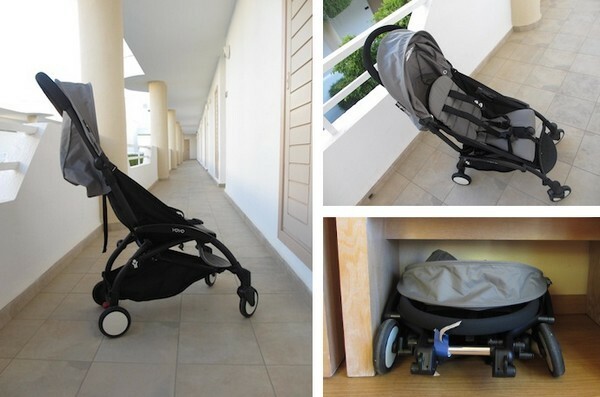 Once you have done this, the stroller is ready to be folded: let go of the red handle and pull instead the grey bar and lift the stroller upward. Done! I know it sounds a little complicated and I have to admit I struggled in the beginning. But, like I said above, once you have done it a few times and you know in which order you need to do what, it’s quick and simple. At this stage, the Babyzen YOYO locks automatically. 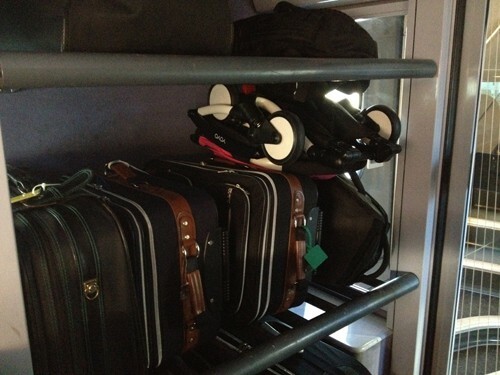 You can then choose to carry it, holding either the metal bar or the safety harness, like a handbag. There is also a little bag you can place it in and you can carry it as above if you let the harness stick out from the bag. 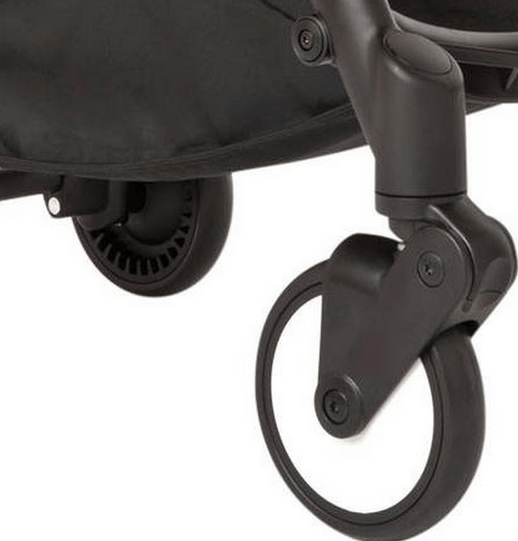 Lastly, to open the stroller again, simply hold the metal bar and press the little latch that is located further down the stroller. The stroller then opens by itself. Babyzen YOYO is designed to be small and easy to bring with you. Needles to say, you cannot expect the same smooth ride as you get in a jogging stroller for example. But I was surprised about how well it actually rides – the ride is not bad at all. 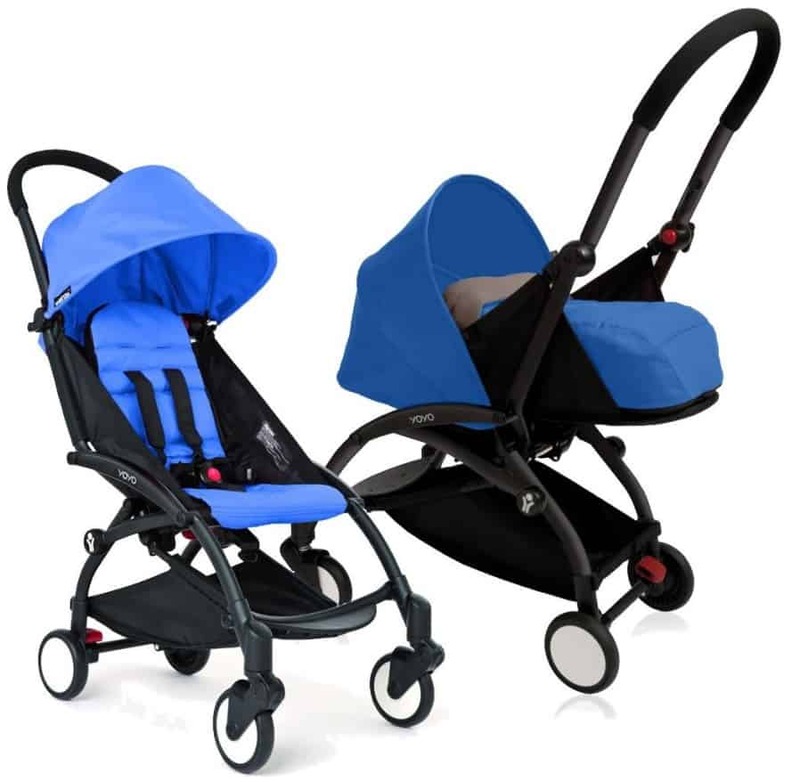 Compared to the usual umbrella strollers out there, this stroller has less of a plastic feel, is sturdier and remarkably easy to drive (although it costs a little more). The Babyzen YOYO rolls smoothly and turns well. It’s incredibly thin (44cm) which makes it feel a little unstable at times but never to the point of tipping over. The long wheelbase and low seat make it surprisingly stable. The seat also allows my son to climb out of the stroller by himself which he really enjoys. 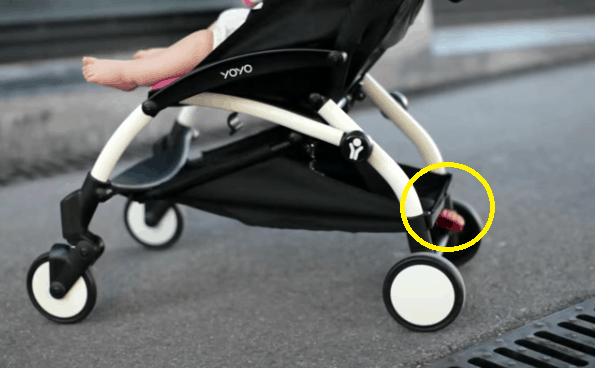 The Babyzen YOYO stroller is ideal for shopping because it can go literally everywhere. In the city it can be hard to find a good spot in restaurants and cafes where you can safely leave the pram without having to worry about losing it. 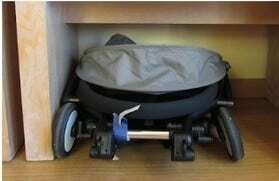 This is not an issue with this neat little stroller: just fold it and place it next to you on the floor. This way no one will steal it and you won’t bother any other customers or staff around you. Perfect! A true city stroller. The Babyzen YOYO might not be the best choice for a stroll in the tough country side terreain, but it works perfectly fine on gress and gravel. The front wheels will inevitably wobble a little if there are big rocks and stones but that’s fine. After all, this is a city stroller. Coming back to the folding mechanism, this also comes in handy when riding the bus. In London there is almost never enough space for all the strollers so I often have to wait for many busses before there I can get on. This issue simply doesn’t exists with the Babyzen YOYO as you can fold it together and put in on the shoulder – providing that you child is happy to hop on the bus by himself. Same goes for all other transport. … you get the point. It’s small, OK. This is of course fantastic good not only because you can use the stroller right after stepping off the train but also because you know for certain it won’t be lost or destroyed. 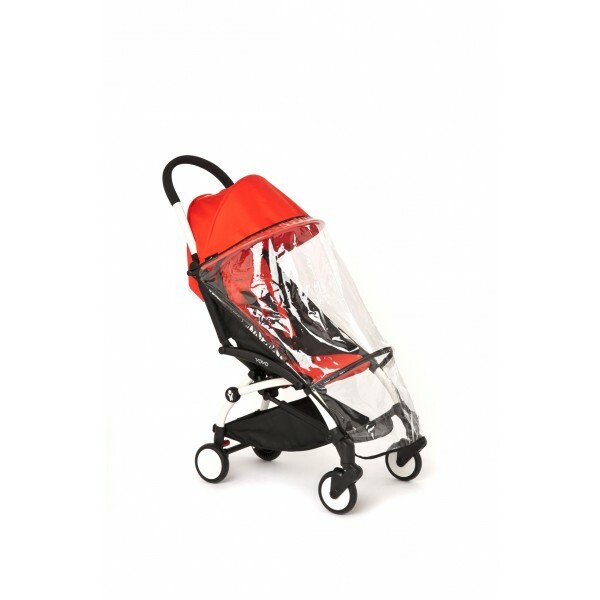 Overall, it’s a great stroller for travelling, especially for children from 1,5 years and up. Together with the Babyzen YOYO you will receive a shoulder strap, a bag plus the rain cover. 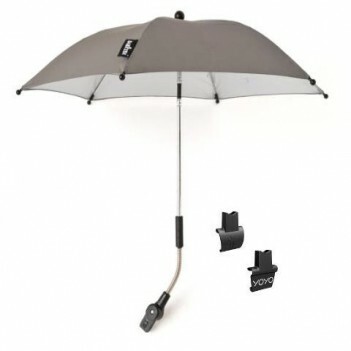 The rain cover is transparent och is attached to the frame using Velcro straps. The rain cover doesn’t cover the canopy unfortunately so if it rains heavily it might leak through it. But how often do you stay out in pouring rain, honestly? There is also a cup holder and foot muff to be bought separately. 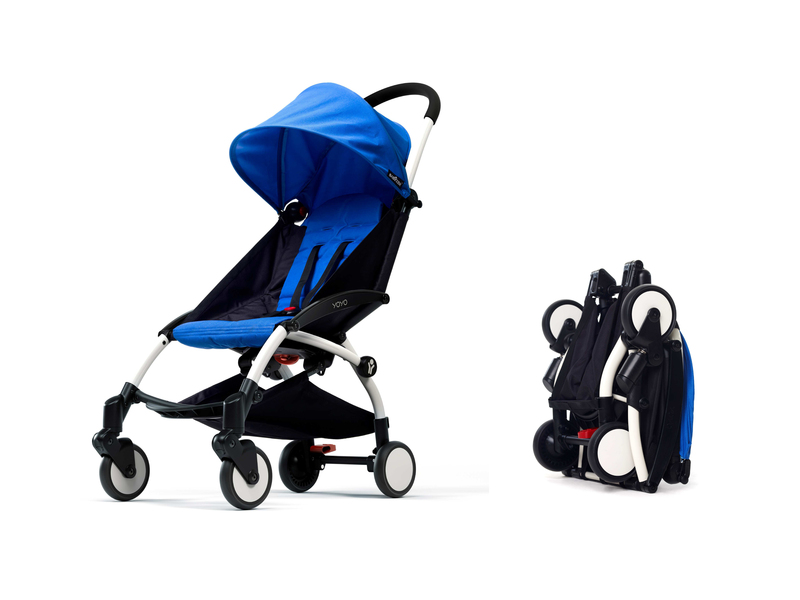 Babyzen YOYO comes with either a black or white frame and you can then choose to buy the colour pack with additional colours for the seat and canopy (in case you get bored). What do other mums think? 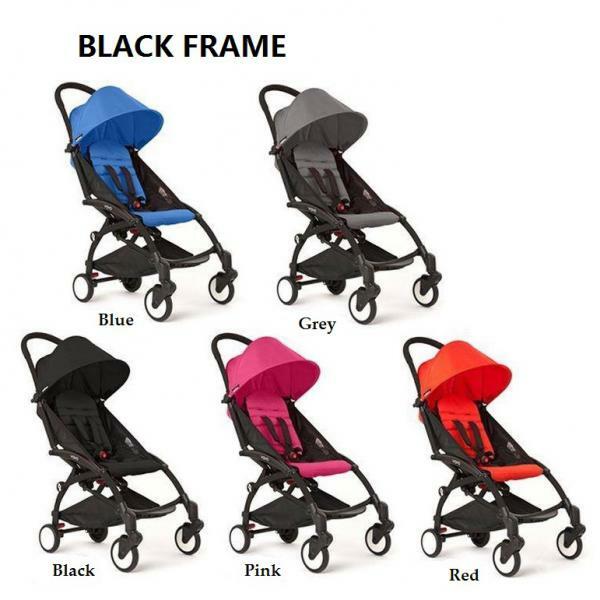 Looking around online you’ll find that many mums love this stroller. I guess this stroller has become a little bit of a hit – something you should be proud to own. I emailed Sarah who runs a fantastic blog over at knottbumpandus.com who road tested the Babyzen YOYO and published this review in January this year. It’s a great little video and where you can see the Babyzen YOYO in action: in the city, on the train, even on the ferrey! Overall I find that the Babyzen YOYO is a good stroller that has two main strengths: its flexibility and easy-to-fold feature. Despite its light weight and small wheels, it moves well on both gravel and grass as well and it handles amazingly – especially in tight spaces. I would definitely recommend it for travelling, especially to those who travels by air but also for those who regularly takes the bus or the tube. 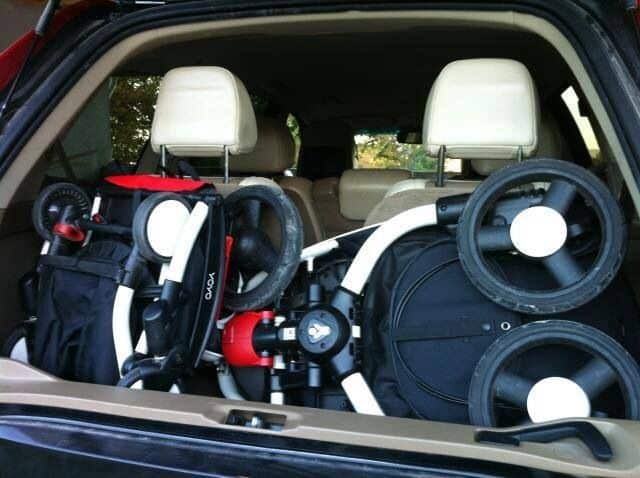 This stroller is ideal for bringing with you in the car because it takes no space whatsoever. The only drawback is that the backrest doesn’t come up fully into a straight upright position and the handle isn’t adjustable in height. What is your experience with the Babyzen YOYO? Let me know in the comment section or drop me an email.